The opportunity was to create several flexible and private meeting areas within a large open-plan office measuring 6000m2. Hive was selected because of its versatile nature, 90-degree pods were used to create free-standing private focus and meeting areas, and Hive benches were used to integrate into the client’s own bespoke chequerboard partition walls. 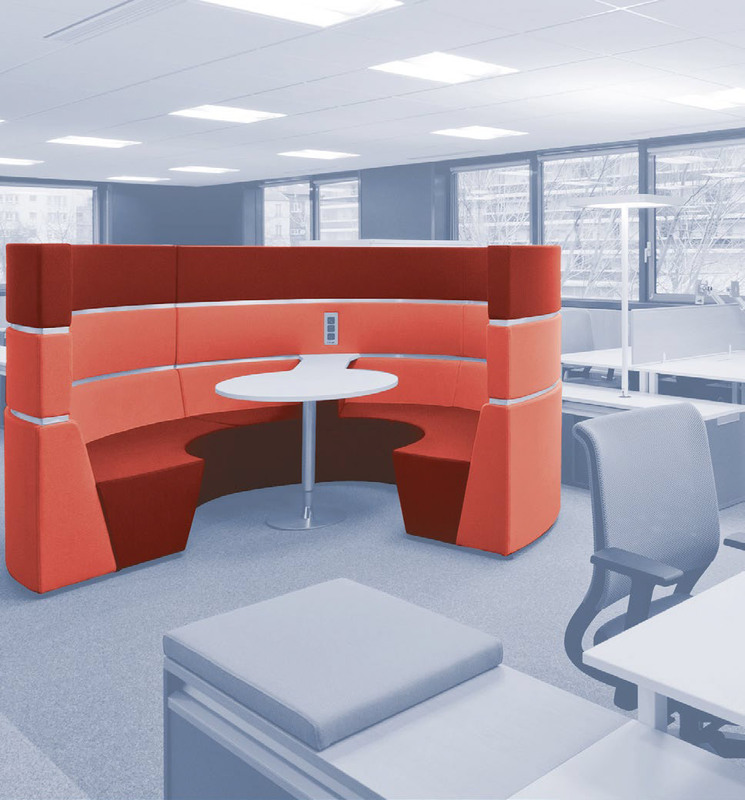 Hive Pods were used to create interior architecture providing collaboration spaces within a large open-plan office, and Hive benches integrate into a preexisting structure to create private seating booths.